Language can be a tool to marginalize certain groups due to the fact that it may reflect a negative mentality caused by mental barriers or historical delays. In order to prevent misuse of language, several agents have carried out campaigns against discriminatory language, criticizing the use of some terms and phrases. However, there is an important gap in detecting discriminatory text in documents because language is very flexible and, usually, contains hidden features or relations. 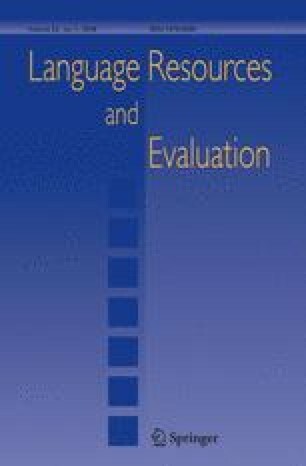 Furthermore, the adaptation of approaches and methodologies proposed in the literature for text analysis is complex due to the fact that these proposals are too rigid to be adapted to different purposes for which they were intended. The main novelty of the methodology is the use of ontologies to implement the rules that are used by the developed text analyzer, providing a great flexibility for the development of text analyzers and exploiting the ability to infer knowledge of the ontologies. A set of rules for detecting discriminatory language relevant to gender and people with disabilities is also presented in order to show how to extend the functionality of the text analyzer to different discriminatory text areas. This contribution has been supported by the Andalusian Institute of Women, Junta de Andalucía, Spain (Grant No. UNIVER09/2009/23/00). Avoid the impression that these positions are male-exclusive. Avoid using occupational titles containing the ‘feminine’ suffixes -ess, -ette, -trix, -ienne. Often people with a disability are referred to collectively as the disabled, the handicapped, the mentally retarded, the blind, the deaf, or paraplegics, spastics, epileptics etc. Brill, E. (1992). A simple rule-based part of speech tagger. In Proceedings of the third conference on applied natural language processing, association for computational linguistics, Stroudsburg, PA, USA, ANLC ’92, pp. 152–155. doi: 10.3115/974499.974526. Cimiano, P., McCrae, J., & Buitelaar, P. (2016). Lexicon model for ontologies: Community report. https://www.w3.org/2016/05/ontolex/. Accessed 12 July 2016. Hayes, P. J., & Patel-Schneide, P. F. (2014). Rdf 1.1 semantics. https://www.w3.org/TR/rdf11-mt/. Accessed 18 March 2016. ODP. (2010). Owl list pattern. http://ontologydesignpatterns.org/wiki/Submissions:List. Accessed 18 May 2016. Tablan, V., Bontcheva, K., Roberts, I., & Cunningham, H. (2015). Mímir: An open-source semantic search framework for interactive information seeking and discovery. Web Semantics: Science, Services and Agents on the World Wide Web, 30, 52–68. doi: 10.1016/j.websem.2014.10.002 http://www.sciencedirect.com/science/article/pii/S1570826814001036, semantic Search. University of Newcastle. (2006). Inclusive language policy 000797. http://www.newcastle.edu.au/policy/000797.html.